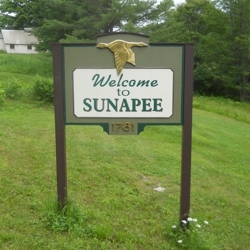 We are excited to announce that we were recently selected by the Town of Sunapee to provide engineering consulting services. These services are for future projects, including bridge and culvert engineering, drainage design, roadway design, utility design and engineering peer review services. Having provided services for the Mount Sunapee Ski Area in the past, we enthusiastically welcome this opportunity to work with the Town. For a three-year term, we will serve as one of the Town’s Consulting Engineers, providing services to aid in the growth and development of the Highway Department and the Town as a whole. Sandford Surveying & Engineering, Inc. will serve as our subconsultant, providing surveying services for these upcoming projects. With a team of skilled and experienced personnel, we look forward to providing a valued service and helping the Town of Sunapee meet its engineering goals.